Do not remove the candle from the cup unless the tea light holder is the same size. Place in either a tea light holder or votive holder. Self-trimming wick, burn beginning to end for best results. If you need to extinguish your tea light candle, do so by carefully dipping the wick into the wax pool. You can use either a fork or a pair of tweezers to do this. By dipping the wick into the wax, you are re-priming your wick for the next burn and this also prevents re-lighting issues. This may develop if the candle has bot been burning long enough each burning session. 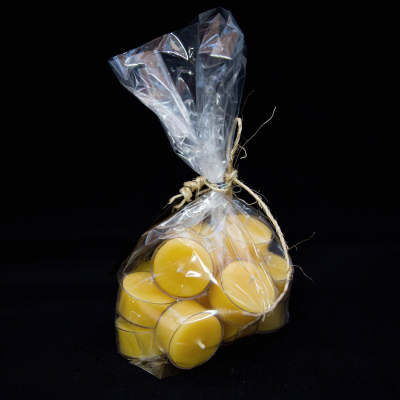 The recommended minimum burn time for our tea light candles is full use. This can happen if the wick is cut too short. 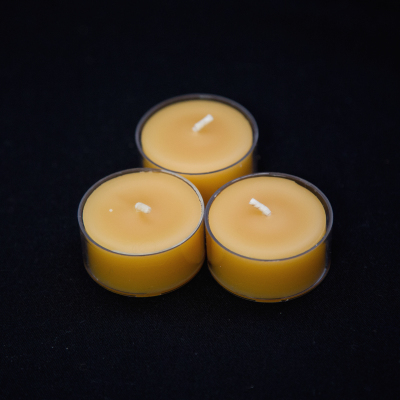 Expose fresh wick by lighting the candle and allowing enough wax to melt around the wick. Pour the wax out and relight. Burn for remaining of candle duration. *Should not be an issue with tea lights as wick is self trimming. May smoke if exposed to draft.